The benefits keep rolling in! 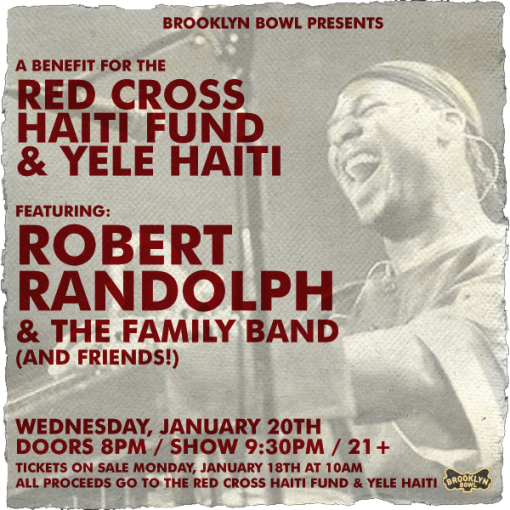 Robert Randolph and The Family Band (and friends) are playing a Haiti benefit show at Brooklyn Bowl on Wednesday, January 20. Tickets for that show go on sale Monday, January 18 at 10AM EST.